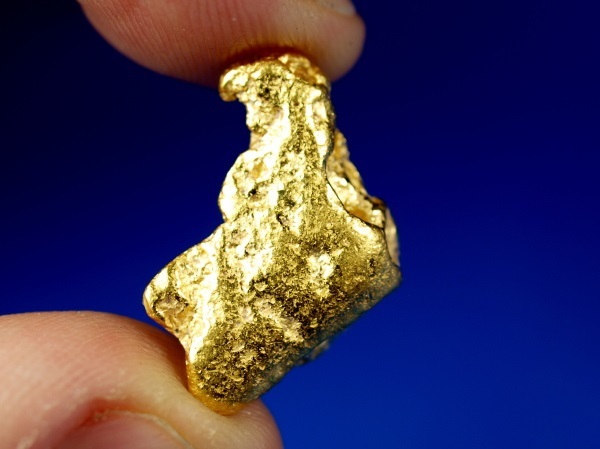 A beautiful gold nugget mined this season in Kalgoorlie, Western Australia. 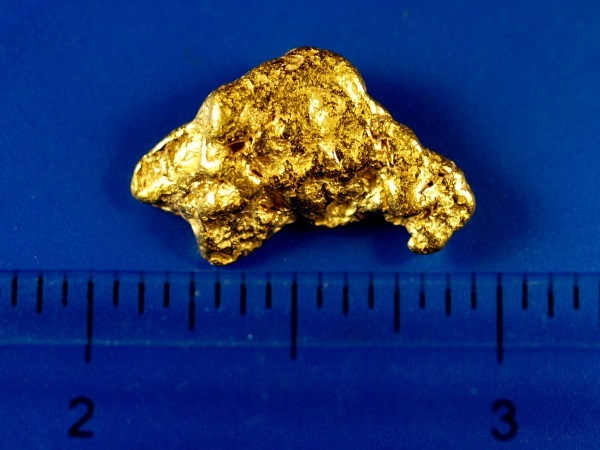 It is a nice thick nugget with a smooth texture and nice bright gold. 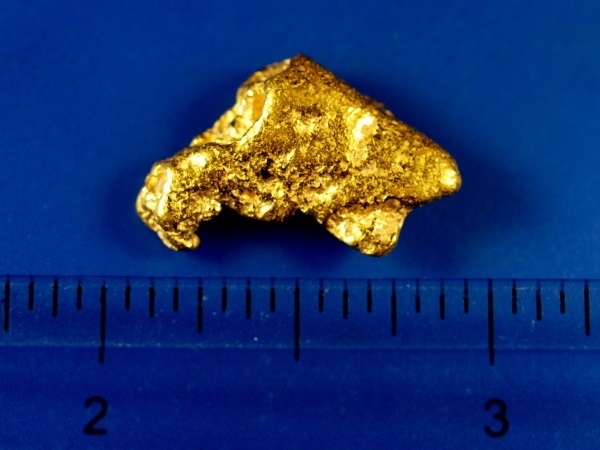 It weighs 10.29 grams and will make a fine addition to your mineral collection.